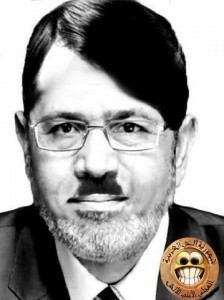 On Facebook, Ayman Monged shares this photograph of Egyptian president Mohamed Morsi – who many say is propping himself up to become the next pharaoh of Egypt. Egyptians are back to protesting in Tahrir Square after Morsi granted himself sweeping powers when he neutralised the judiciary and declared that courts will not be allowed to challenge his decisions. This has angered Egyptians, who have turned out en masse at Tahrir Square to protest what they call Egypt's new pharaoh and his Muslim Brotherhood organisation, which they say is grabbing too much power.